Every time there is an audio feature of Mega Heroes ... Pawan Kalyan fans will surely shout 'Power Star .. Power Star'. Allu Arjun was troubled by these creeks a few times ... and hit them by saying "Cheppanu Brother". It became a major problem later on. Pawan fans have expressed their anger against Bunny in several ways. This is the reason why everyone was curious about the DJ audio launch. But the situation has completely changed in the DJ audio event. Everyone understood that the fans of Pawan Kalyan are present in a gallery of the auditorium. When Harish Shankar took the name of Pawan and told him he was a simple man ... or any other person mentioned the name of Power Star ... Whistles and shouts were heard in this gallery. More than these whistles and cries, most fans continued to shout "DJ DJ". They kept shouting DJ ... when Harish Shankar .. Allu Aravind gave their speehes. Nobody could understand why they shouted DJ in the Bunny function. 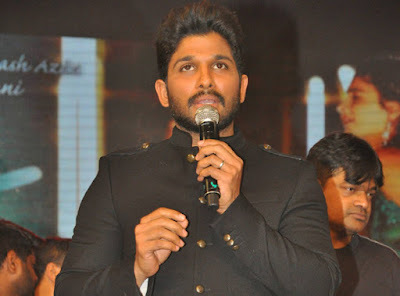 Finally, Allu Arjun yelled a joke saying that "Ilaa DJ DJ ani arustoo ... sabhya samajaniki em message iddamani ??" But the fans did not calm down.It can be said that the regular screams were modified in the " Bunny said another question about the fans of Mega ... He said every time he told me that fans of Mega ... Megastar fans Chiranjeevi ... Power Star fans. Charan ... Teju..Varun .. Fans of Niha (Niharika) are included in this. Mega fans is the common word for all fans.